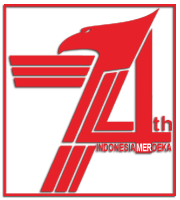 For the motorcycle modification enthusiasts, they typically use motorcycle design to be overhauled based on their unique expertise. 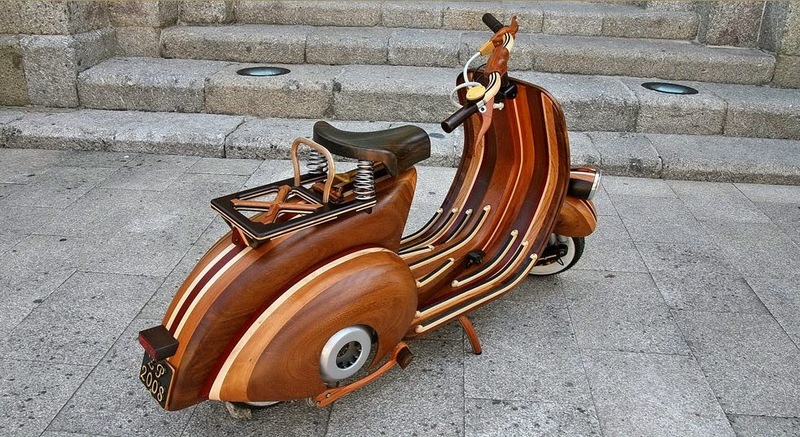 Much like a carpenter who made ​​this Vespa into a very unique with the different look scooter. 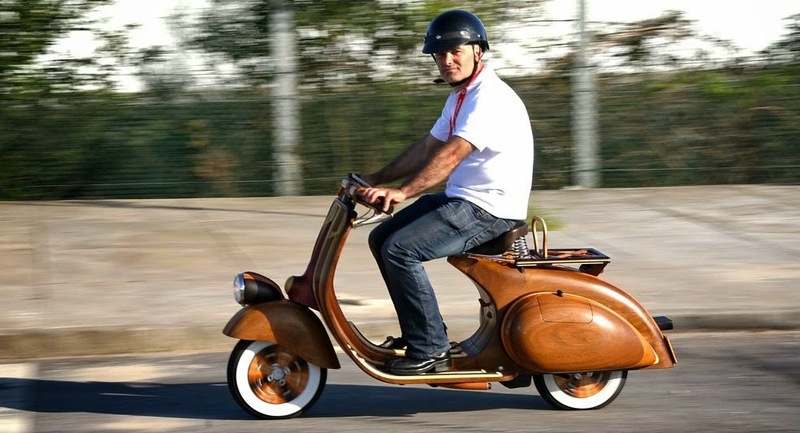 Carlos Alberto is the modifier once carpenter behind the making of the entire wooden body of Vespa. 'Daniela' is a the name he gave to the wooden classical antique and unique scooter from the Pizza country - Italia. 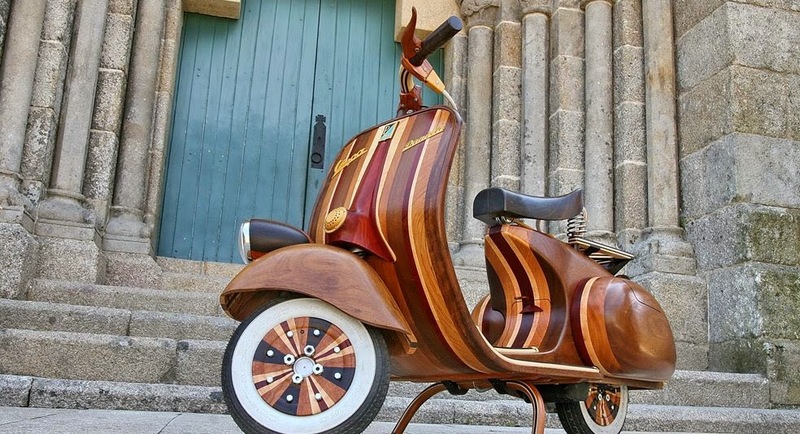 To give varied of a distinctive color pattern, Alberto had to combine several types of wood to get the combination of color that he wants as seen in this wooden Vespa. 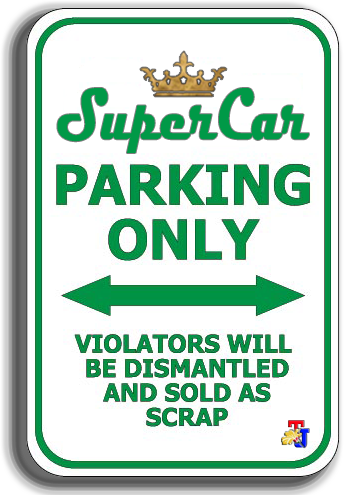 Some parts such as the front fork, rear suspension, wheels and the engine is still maintained as a consideration that the wooden Vespa can still run like in general. So in addition to the part, Alberto make it manually with the full wood frame or without a mixture of metals.